A black and white For Sale By Owner sign can still get attention! 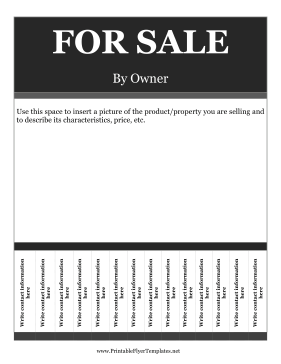 This highly versatile for sale flyer includes pull-off tabs that you can customize with your contact information. No matter what you are selling, this flyer will help you reach your market.